Yashpal Panwar - Black Peak Mountain Adventures. RECOMMEND Me Now. I had a great treak to EBC with Yashpal in the spring of 2017. He was in all possible ways an exelent guide who I appreciated greatly! I did Har Ki dun trek with Yash in March 2015. It was a very memorable trip. When you travel with Yash you get to learn a lot about the trek, history and never ending stories. He js very friendly and helpful in all sense. Highly recommend! 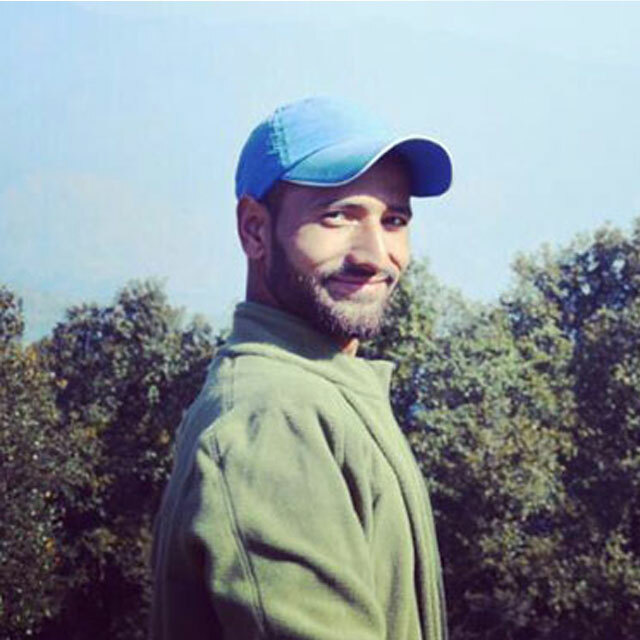 Yashpal is a young enthusiastic guide from the beautiful but remote village of Pawni, Uttarkashi. The village houses about 40 families. Barkot which is the closest town is 113 kms away. Against the harsh climate and tough terrains, Yashpal completed his higher education and often played an explorer from a very young age to discover the world around him. After his Diploma in Computers he decided to help his parents in raising his brother and sister. He's worked as a guide since then and honed his skills over time. Though very quiet by nature, he's often appreciated for taking exceptionally good care of his trekkers and team. Also a very good cook, he would love to treat you with his all time favorite 'Gajar Ka Halwa'. He can easily flaunt taking treks like Rupin Pass, Kedarkantha more than 20 times among others.